bebop spoken here: CD Review: Bob Dorough - Eulalia. Bob Dorough (vcl, pno, arr); Steve Gilmore (bs); Herman Matthews (dms); Phil Woods (alt); Aralie Dorough (fl); Dennis Dotson (tpt); Thomas Hultén (tmb, tuba); Ray Wilson (gtr);Warren Sneed (ten, sop) + Keith Vivens (el. bs. ); Mike Mizma (vbs, pandeiro); Gary Mitchell Jr. (vcls, choirmaster, B3); Tammie Bradley (vcls). A cornucopia of delights in this slightly whimsical disc. Where to start? Dorough isn't a great singer but he puts over the quirky lyrics with the tongue in cheek approach of someone like Dave Frishberg and, like Frishberg, he can laydown some mean piano as well as writing poetically, composing a melodic tune and arranging the same imaginatively. His daughter, Aralie, also plays mighty fine flute (her dad was born in Arkansas and discovered music in Texas). To Be or Not to Bop (get some Charlie Parker in your soul) has a clever lyric and a few bop choruses from Sneed on tenor and Dotson on trumpet with Bob and Gilmore keeping well within the period. Dotson shows again on I've Got Just About Everything which could be descriptive of Phil Woods who leaps in like a Lord on the tenth day of Christmas. The spiritual inspired A Few Days of Glory has a churchy choir, some Hammond B3, a Dixie ensemble and more Phil Woods - described in the notes as the ne plus ultra of alto sax - vous et moi aussi mon ami! Just a few of the memorable moments - there are many more. 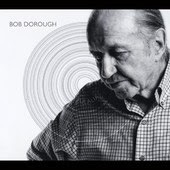 Bob Dorough - Eulalia available on Merry Lane Records LLC.